MENLO PARK, Calif., April 10, 2019 /PRNewswire/ -- Today Caesars Entertainment Corporation (NASDAQ: CZR) in partnership with Protiviti, was honored with IDG's 2019 CSO50 Award for its transformational cybersecurity risk assessment. Every year, 50 organizations are recognized with the award for their security projects or initiatives that demonstrate outstanding business value and thought leadership. "Caesars Entertainment remains at the cutting edge of technology, always exploring new ways of enhancing our cybersecurity efforts." said Scott Moser, Chief Information Security Officer at Caesars Entertainment. "Winning the 2019 CSO50 Award wouldn't have been possible without our valued partner Protiviti, who helped us complete this risk assessment, reevaluate our risk mitigation goals and progress in ways we had not done previously." 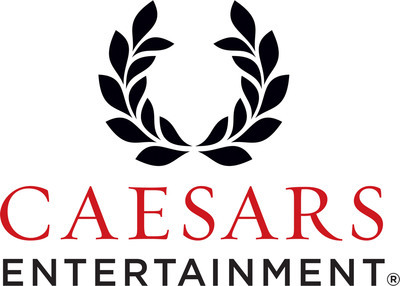 "We're honored to have been able to partner with Caesars Entertainment on a cybersecurity risk assessment project that delivered significant measurable benefits for our client and also earned them a CSO50 Award," said Jeff Sanchez, a managing director with Protiviti and leader of the firm's data privacy practice. "The ability to shift a cybersecurity risk assessment from a qualitative to a quantitative approach is a critical step forward in the data security field, and we're very pleased that we can now use this same innovative approach to help other organizations." Editor's note: Photos of quoted individuals available upon request.